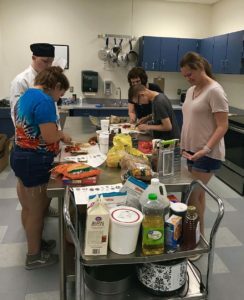 Participants (students and aides) in Education & Community Services (ECS) Unified Culinary Arts 1, Summer 2018. ECS Unified Thanksgiving Cooking Fun for ages 13+ will be held on four consecutive Saturdays (9:00am – noon), beginning on 10-27-18. Details in the attached media release. Photo courtesy of ECS. 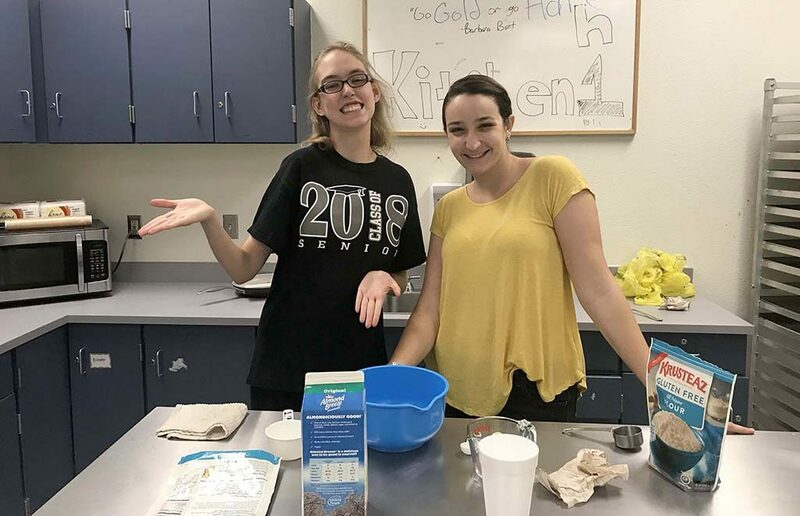 Unified Culinary Arts 1, for grade 11 through age 22 (prerequisites needed), was introduced this summer at Education & Community Services (ECS), a department of the Cave Creek Unified School District (CCUSD), and was an instant success. “It has been a goal of ECS Enrichment to offer classes for students and adults with special needs. Bobbie Burt was the perfect instructor to pull together a class with fun, yummy and practical activities for this group of students. They enjoyed it greatly and we are encouraged to offer more during the upcoming school year,” said Elaine Vallario, ECS Enrichment Coordinator. Students enjoyed preparing (and eating) a variety of dishes from salads, soups to desserts, using their newly acquired skills. Techniques varied according to skill levels appropriate of the groups. At the next cooking class, Unified Thanksgiving Cooking Fun, held on four consecutive Saturdays (10-27-18, 11-3-18, 11-10-18 and 11-17-18), 9:00am to noon, students ages 13+ will learn how to make festive recipes that celebrate the Thanksgiving season. 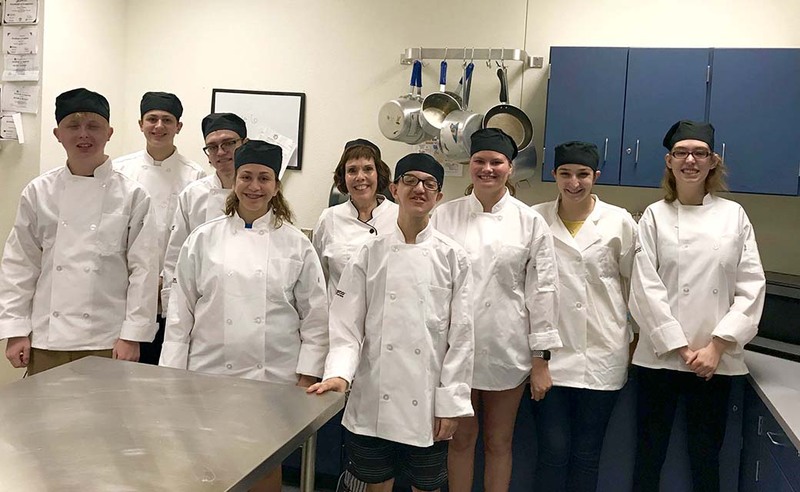 For information on future Unified Culinary Arts classes, visit ECS at www.ecsforall.org or call 480-575-2440.